List Your house in Ypsilanti, MI with the Team Hinton Real Estate Group! If you're looking to list your home or property in Ypsilanti, the Team Hinton Real Estate Group can help! Download a FREE Ypsilanti Pricing Report by filling out the short form! We'll send you a detailed report with all the housing prices in the Ypsi area! If you’re curious about what your Ypsilanti home may be worth, here’s an easy way to find out what homes like yours are selling for in today’s market. Get FREE online monthly updates with up-to-the-minute statistics based on all the homes for sale and sold in Ypsilanti over the last six months in all price ranges. To get your FREE online update on Ypsilanti House Prices and your monthly Washtenaw County report, simply fill out the form to the right and we’ll send it to you right away! Fill Out the Short form below to get your FREE 2017 Ypsilanti Home Price Report! Success! 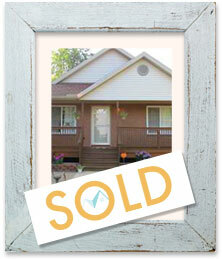 You've requested a FREE 2013 Ypsilanti Home Pricing Report! A Hinton Real Estate Team member will be sending it to you with more information soon.